If one thing is clear, is that Middle-earth: Shadow of War is one of the most eagerly-anticipated games of the year. This is a sequel to the widely acclaimed Shadow of Mordor game after all, surely one of the best games to hit shelves in 2014. Plus, the fact this takes place in Tolkien’s much-loved fantasy universe is certainly a draw too. Those eager to play this new Lord of the Rings game on PC will be happy to know that Warner Bros.’ latest release doesn’t require a top of the line machine to run, actually the game’s minimum system requirements (as published on the game’s Steam page) are pretty reasonable, and only an AMD FX-4350 or Intel Core i5-2300 processor is needed to play Shadow of War. However, 8 GB is the minimum amount of memory needed to return to Mordor this time, and you will also have to set aside quite a bit of hard drive space in order to enjoy this game. This is because Shadow of War requires a whopping 70 GB of hard drive space to install, which is above average for a AAA game these days. The video card requirement (AMD HD 7870 or Nvidia GTX 660) is typical of what games are demanding these days as a minimum, though. 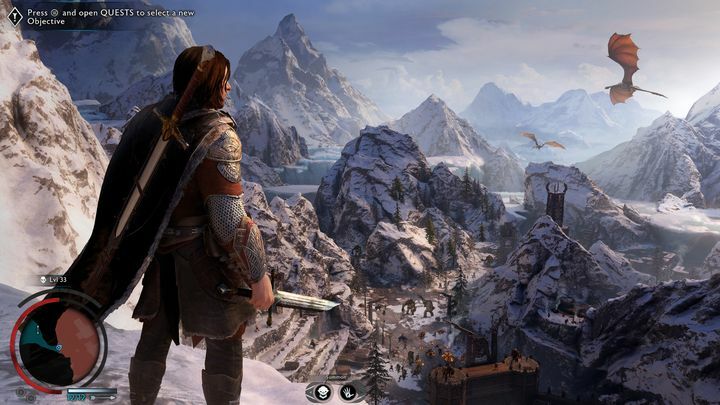 The recommended system requirements are obviously a step above the minimum, and Warner Bros. recommends either an Intel Core i7-3770 or AMD FX-8350 to make the most of this latest Lord of the Rings video game. Also, a good midrange graphics card like AMD’s RX 580 or Nvidia GTX 1060 will be required to enjoy Shadow of War at its best. The recommended memory amount (12 GB) is also above average for this kind of game, but taking into account that this boasts an enormous open world and huge battles it’s logical that a beefy rig is required to make the most of this latest Lord of the Rings game. Also, downloading the game itself via Steam will require a hefty 97.9 GB, so some might have to free space on their hard drives in order to get hold of Warner Bros. new open-world game. There’s no doubt, though, that Middle-earth: Shadow of War is one of the biggest video game releases of the year, and given the appeal of the Lord of the Rings universe and how well-received its predecessor Shadow of Mordor was, this could become one of the year’s top video game hits without a shadow of doubt. Note: Middle-earth: Shadow of War was released on October 10, 2017. Available on PS4, Xbox One and PC.